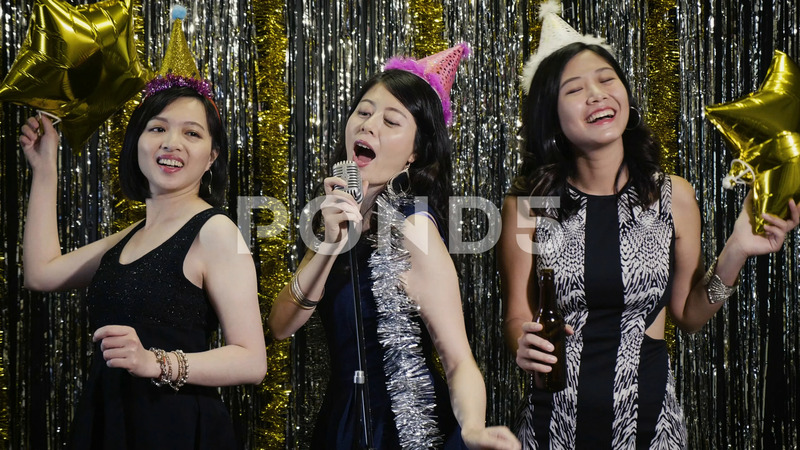 Description: young female people dancing singing in karaoke party. asian girls in party dresses playing with star balloons and having fun. Cheerful women with drinks celebrating.